SAMSUNG TOUCH OVERLAY IR DUAL TOUCH 55"
Samsung has created a unique streamlined solution in the form of a touch overlay option. Compatible with the entire ME Series, this accessory turns the display into an interactive board with dual drawing performance and allows for integrators and businesses to quickly add touch capabilities without the need to replace the display. 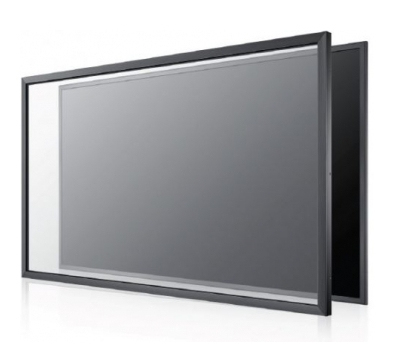 Touch overlay modules are available as an optional accessory that turns Samsung’s ME LED models (32-inch to 65-inch) into a touch display, the Touch Overlay seamlessly attaches to the frame of the bezel enabling a fully integrated touch display solution.